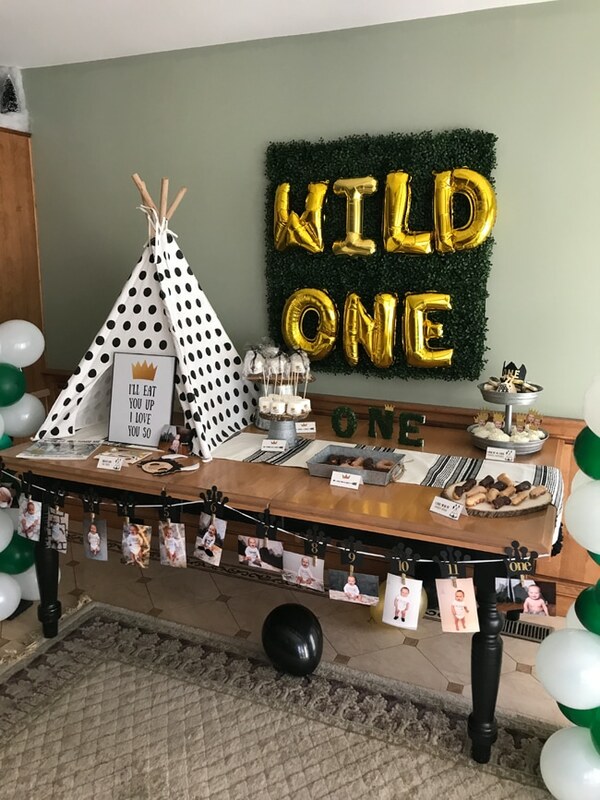 Another one of our favorite first birthday themes is “Wild One.” As moms, we know having a 1-year-old can get pretty wild! 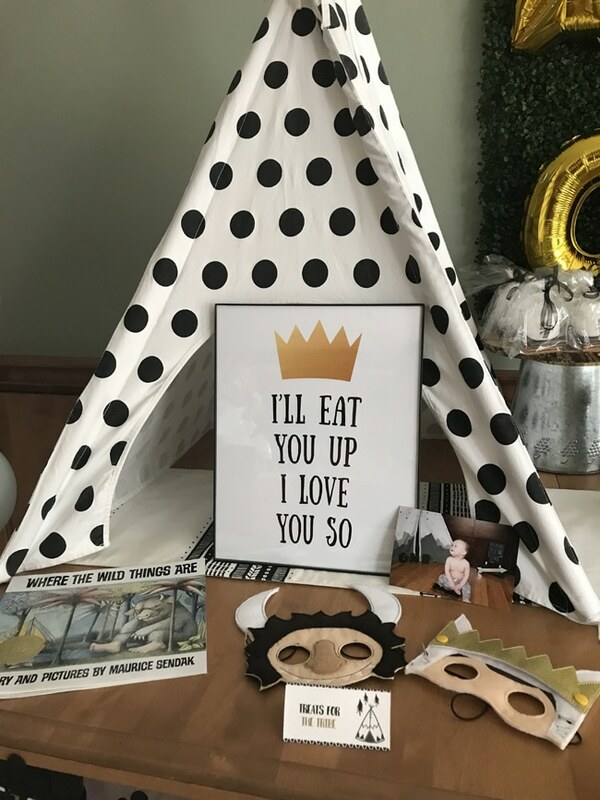 This party was inspired by the book “Where the Wild Things Are” by Maurice Sendak. 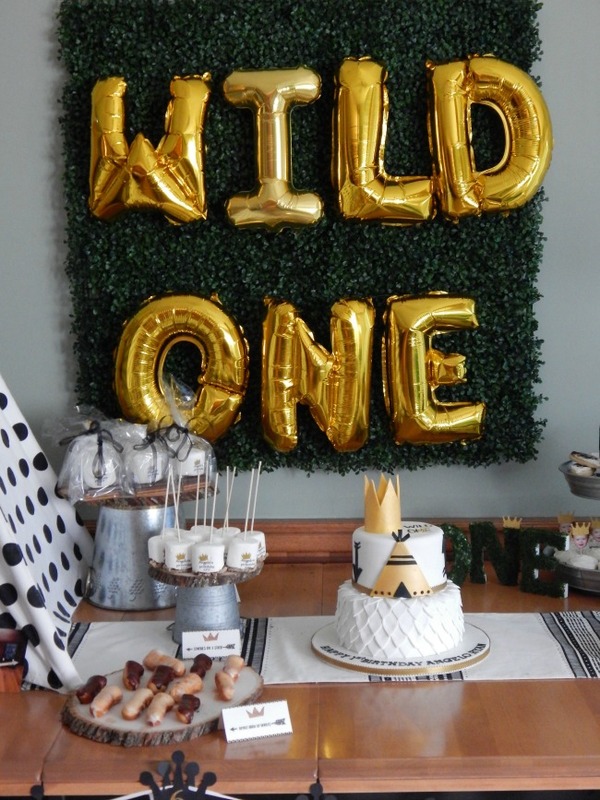 This Adorable Wild One First Birthday Party is full of creative details. 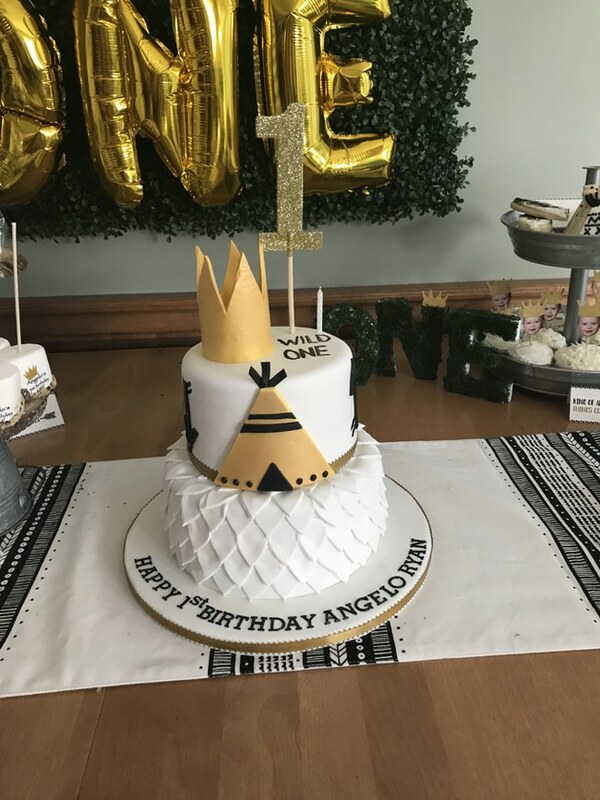 Mom did a great job putting together this memorable first birthday! 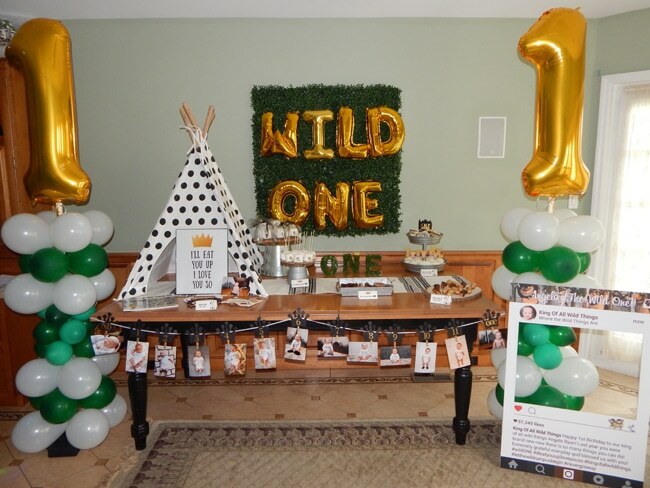 We love this Wild One set up which included a black polka dot tee pee, a sign with a quote from the book, gold balloon letters that spell out WILD ONE for the backdrop, large gold number 1 balloons, a first year photo banner of the adorable birthday boy, and an Instagram photo cutout for some memorable party photos! The birthday cake is awesome! It’s definitely fit for a King of the Wild Ones! 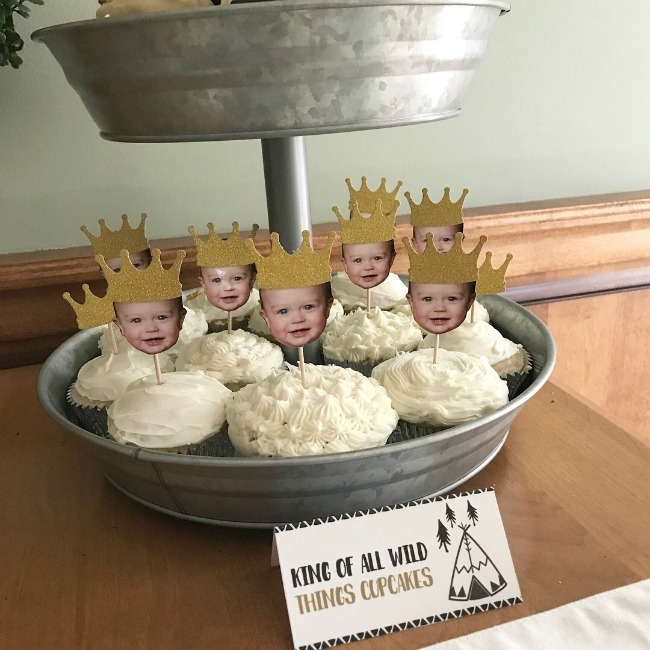 Mom made these fun cupcake toppers. How cute are they?!?! 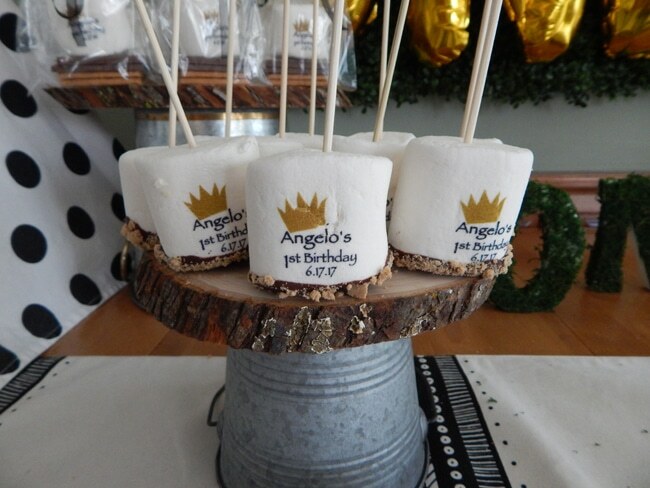 Desserts included cupcakes, donuts, cookies, and custom marshmallows! 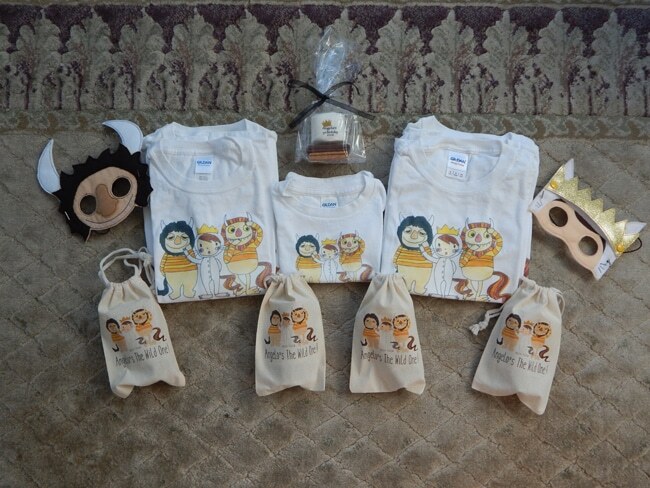 Custom T-shirts and favor bags were made for the kids. 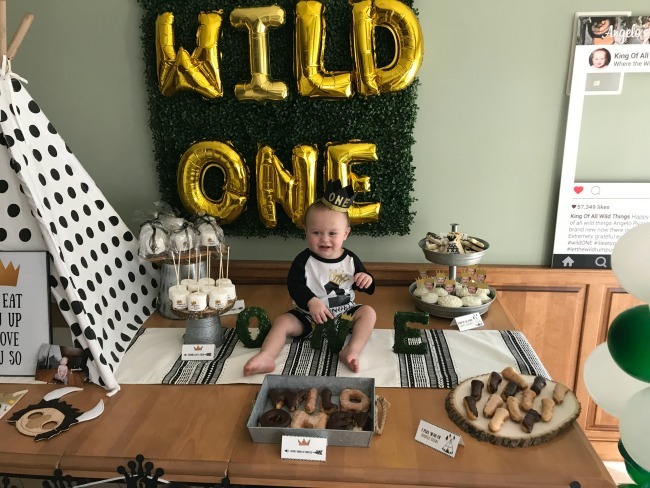 It looks like the birthday boy had a wonderful time at his Adorable Wild One First Birthday Party! 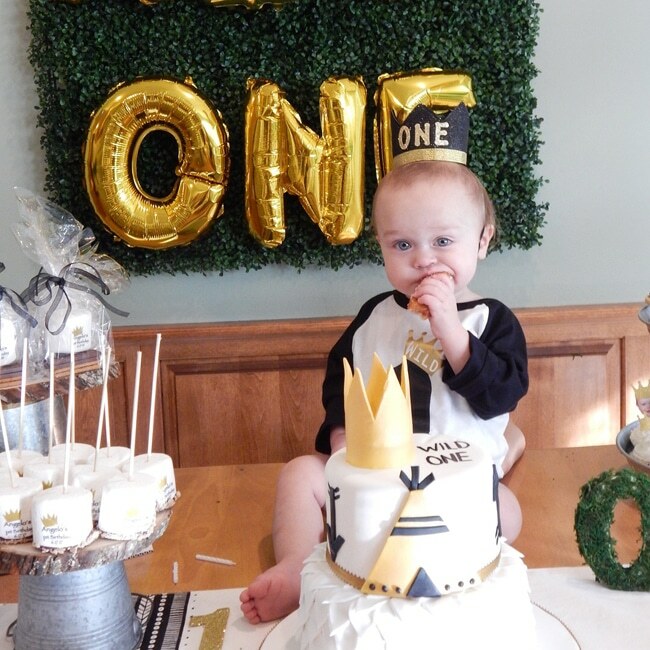 What are your favorite details in this Adorable Wild One First Birthday Party?! Let us know in the comments below! Where did u get the wood serve ware? 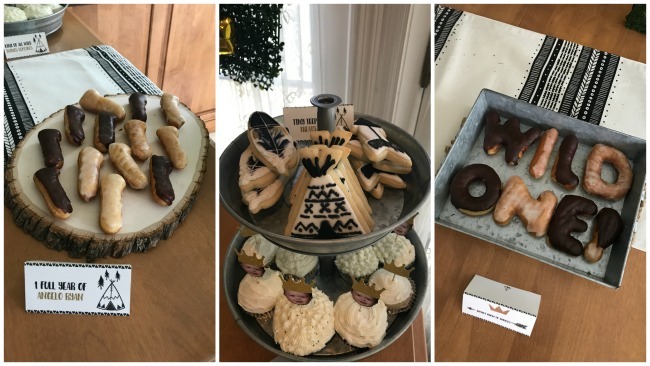 how did you make those cupcake toppers!? Where did you get the teepee?? where did you get the teepee?